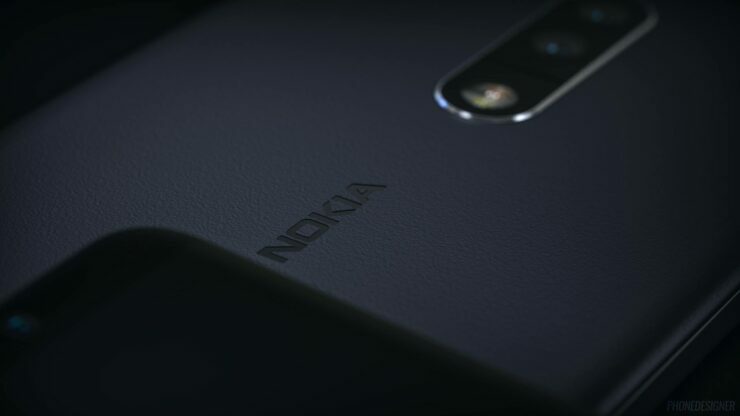 The rumor mill has finally opened up on the Nokia 9. The smartphone surfaced in a detailed prototype review recently. It detailed almost everything about it, including hardware and multimedia specifications. Now, we’ve got a Geekbench listing for the smartphone. This provides us with a first look at what to expect from the Nokia 9, in terms of performance. Take a look below to find out more. Looks like things are about to get real interesting in the mobile world. Right now, it’s Samsung that’s king. The Korean tech giant equips its smartphone with the latest specifications and spends an arm and a leg on development. This has resulted in it being the undisputed flagship king for Android, especially among users that are unfamiliar with the bliss of stock Android. But now, it looks like the Korean tech giant will have to face a lot of stiff competition. While LG doesn’t manage to do much with its G lineup, despite producing excellent devices, other manufacturers have also started to take up the flagship mantle. The most notable of these is Google. Mountain View’s Pixel lineup have changed things a lot for Android, and rumors for the Pixel 2 sound impressive as well. But today, we’re here to talk about the Nokia 9. The smartphone has surfaced on GeekBench today and it decimates the Samsung Galaxy S8. The Nokia 9 scores 2255 in single core and 7770 in multi core results. 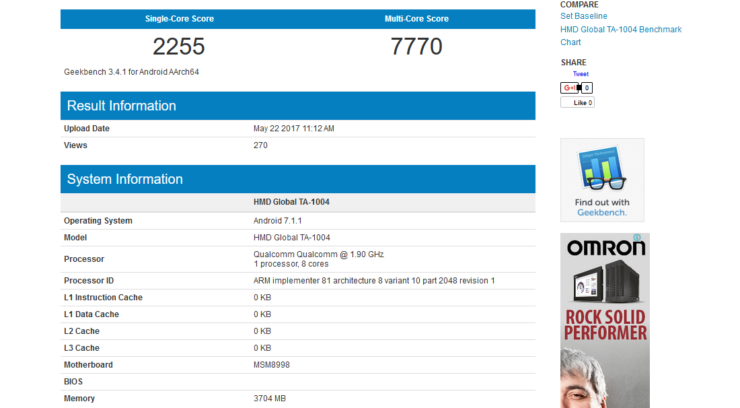 For comparison, the Samsung Galaxy S8 scores 2000 and 6000 in single and multi core, aggregated scores. That’s a huge lead for the Nokia 9. If it holds out post-launch, expect the device to make a good impact on the smartphone world. The Snapdragon 835 for the device is running at a 1.9GHz frequency and is complemented by 4GB of RAM. Moving towards other specifications for the Nokia 9, the device will also feature a dual camera. The resolution for both of the lenses will be 13MP. Screen size for the device will stand at 5.3 inches and it’ll also feature an aluminum frame. There’s no word on the smartphone’s launch date. Thoughts? Let us know what you think in the comments section below and stay tuned. We’ll keep you updated on the latest.